Cabbage, a.k.a. head cabbage, is a long standing food staple of the world. The dense, compacted leaves form "heads" which store very well. Combined with the fact it is so widely grown makes cabbage a very economical vegetable. Savoy Cabbage: With it's curly, lacy leaves, this cabbage is very pretty. It's leaves are not as densely packed as the head cabbage. Green Cabbage: These round, heavy heads of cabbage are what most of us are familiar with. Excellent storage capability. Red Cabbage: Looks just like a green cabbage except it's...well.. red. Red cabbage usually has much smaller heads than green cabbage and are not bothered by the cabbage caterpillars. Gonzales' Cabbage Variety: This compact plant produces small heads(4-6 inch), making it an ideal variety for container gardening. 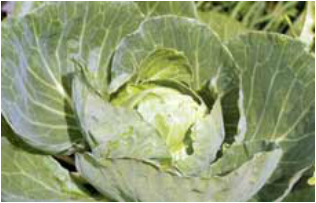 For summer harvesting, start your cabbage seeds 4-6 weeks before the last frost. Sow the seeds 1/2 inch deep, with 2-3 seeds per hill. Keep the seeds starters at 75 degrees for best germination. When seedlings emerge, thin to one seedling and keep the seedlings at a lower temperature (about 60 degrees). Keep them there until time to transplant. Transplant your cabbage seedlings into your garden, spaced about 8 inches apart. 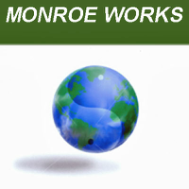 Mix in the pure worm castings into your garden soil at a rate of 1 pound per 50 square feet. At 4-6 true leaf stage, apply VermaPlex® at a rate of 20:1, and again in 12-14 days. At head initiation, apply Vermaplex at a rate of 20:1.